The city Nicea, also Nicaea, in Greek Νίκαια and now known as Iznik in Turkish, was the site of two Ecumenical Councils of the early Christian Church. During Latin rule of Constantinople after its capture in 1204 by the Fourth Crusade, Nicea was the capital city of the Empire of Nicea, which was the strongest of the surviving Byzantine states. Located near the eastern end of the Sea of Marmara on what is now Lake Iznik, Nicea was built on the site that was originally called Ancore/ Helicore. A town called Antigoneia was built on this site late in the fourth century before Christ by the Macedonian king Antigonus I Monophthalmus, who had been one of Alexander the Great’s generals. There are two versions of how Nicea received its name. In one story the town later came under the control of Lysimachus who renamed the town Nicea after his wife. In another account it was founded by Alexander’s men from Nicea near Thermopylae. Nicea attained commercial importance as it was on the crossroads between Galatia and Phrygia. In this regard Nicea was a rival of nearby Nicomedia. Its importance carried through and continued after the founding of Constantinople as the capital of the Eastern Empire. The nearness of Nicea to Constantinople appeared to have contributed to the use of the city in the important events involving the Church and the Roman emperors. It was only 43 miles (70 km) from the capital. Nicea was encircled by a wall that was 14,520 feet (4,426 meters) long. The wall is almost entirely intact today. Nicea was the site of the First, in 325, and, in 787, the Seventh Ecumenical Councils. 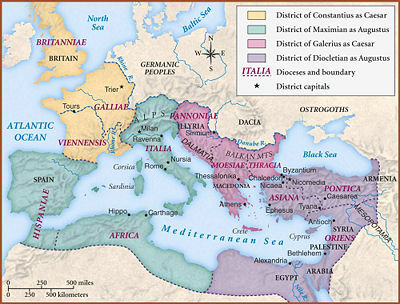 These councils are also known as the First and Second Councils of Nicea. The First Council addressed the Arian heresy and more clearly defined the concept of the Trinity which the council expressed in the Nicene Creed. The second council addressed the issues relating to icons raised by the iconoclasts, expressing their proper use for veneration. The first council was held in the “Senatus Palace” that now lays beneath the waters of Lake Iznik. The seventh council was held in the Church of Hagia Sophia that was built by Justinian in the sixth century, This church was modeled after the Hagia Sophia in Constantinople. Located in the center of the city, Hagia Sophia was turned into a mosque by the Turks and renamed Orhan Ghazi Mosque in 1331. Over the years this structure has been badly damaged by earthquakes and fires. Some mosaics and a fresco of Christ, however, remain. The Church of the Dormition, a major church in Nicea, was destroyed by the Turks in 1922. This church was decorated with many fine mosaics that dated from the ninth century. In 1081, Nicea was captured by the Seljuk Turks, but was recaptured in 1097 by Emperor Alexius I Comnenus. During the period that the Turks held Nicea, they renamed the city Iznik. When Constantinople was captured by the Latin Crusaders in 1204, the Byzantine Romans established separate realms in the parts of Anatolia that were not held by the Latins. Nicea became the capital of the “Empire of Nicea” and served for 50 years as the political and cultural center of this the strongest of the Byzantine states until Michael VIII Palaeologus recaptured Constantinople from the Latins and restored Byzantium. In 1331, the Ottoman Turks captured Nicea, again renamed the city Iznik. After the Turks captured Constantinople in 1453, the prosperity of the city fell under the competition from Turkish Constantinople. This page was last edited on April 7, 2010, at 00:46.